Price € 1.150 p.m. ex. Really nice maisonette apartment of approx. 64m2 with 1 bedroom and roofterrace. The apartment in nearby the old past "Hofkwartier" of the city center of The Hague. 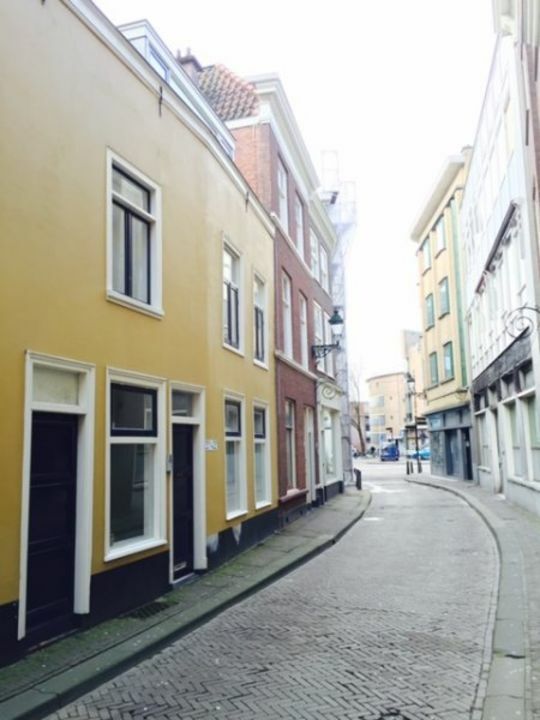 Nobelstraat is an extension of the shopping Papenstraat and is 5 minutes walk from the Noordeinde and the Oude Molstraat. At the Oude Molstraat starts Nobelstraat. The apartment is estblished in the most characteristic and most attractive part of the (shopping) center of The Hague. Entrance on the ground floor, first door on the left gives access to a spacious bedroom, at the back of the bedroom is the bathroom. The bathroom has a washbasin with mirror, toilet, large shower and towel radiator. In the bedroom there is a staircase which provides access to the 2nd floor. On the 2nd floor is the living room which is an open and modern L-shaped kitchen. At the back of the lounge there is access to the roof. in the front of the living room is the connection of the TV and internet.